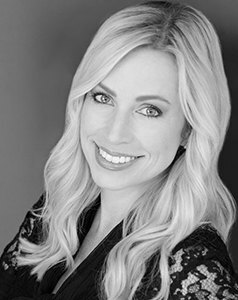 With expertise in downtown Chicago real estate as well as the North Shore, Brandie adeptly serves a broad range of clients, but especially loves opening doors to the North Shore for new homeowners who want to find roots where Brandie personally calls home and raises her own family. "We were so impressed with Brandie Malay as our realtor when we chose her to sell our home in Winnetka. She exceeded all of our expectations from the very beginning through the end. Her level of professionalism, expert negotiation skills, attention to detail and high level of customer service is unprecedented. Brandie not only gets the job done, but she always has a smile and is incredibly responsive. She has extensive knowledge of the community and the market and does her homework when it comes to comps. She also understands that both buying and selling can be an emotional process for those involved and she listens, provides solutions and really works for you. I would highly recommend Brandie as your Listing Agent. You will not be disappointed. It was the holiday season and she sold our home in four days and for a price that was great for all. Thank you, Brandie. We will definitely work with you again when we are back in the area." "My experience with Brandie was excellent from the beginning. Brandie is very knowledgeable about the Chicago market, the purchase process and was always on top of the newest listings and prompt when responding to my inquiries. Brandie was quick to learn my style which was very helpful in limiting the number of homes I saw to only the best for my needs and wants. Brandie was great with interior decorating thoughts as well which was definitely as added bonus for me. Overall, my experience was extremely positive and will definitely use Brandie again to sell my home when that time comes. Thanks for everything Brandie!" "We have used Brandie Malay twice for home purchases and each time she has been incredibly knowledgeable, diligent, responsive, and attuned to our specific needs. She has a masterful grasp of the market and is deeply committed to finding the right home and the right price for her clients. We have bought and sold several homes over the years and Brandie has been among the best agents we have ever encountered!" "We have worked with Brandie Malay on three real estate transactions and in each case she has been one of the most professional, engaged, and knowledgeable brokers we have ever worked with. Brandie has consistently represented our best interests in every aspect of each transaction and has not only been incredibly responsive to all of our needs, but also a great joy to work with." "Brandie was very professional. She did an excellent job marketing our home and was always prompt in responding to our communications. We had an offer within 19 days of listing. You won’t go wrong with Brandie on your team."